Residential landscape architecture and design in Southern California. We work with individuals and businesses to turn their everyday environments into functional, beautiful and inspiring spaces. Solutions by Design has been in business for more than 25 years in the Long Beach and Orange County area and have a reputation for offering a highly personalized and dedicated service. We place great emphasis on building strong client relationships and tailoring our approach to meet each individual client’s needs and delivering on time and budget. While we are first and foremost a landscape design company, our mission is to help homeowners go green while enjoying a higher standard of living. We go beyond traditional landscape design and create a personal action plan for sustainability. Whether it is because you love wildlife, are trying to reduce your exposure to toxins, are interested in reducing dependence on economic, food, and energy systems beyond your control, looking to save money, eat healthier, or all of the above, California Eco Design can help. The landscape we help you create is a system of working parts that employ the wisdom of nature to produce goods and services. Instead of putting scarce resources (energy, money, labor, water) into maintaining an unchanging picture perfect image, we strive for healthy landscapes that provide essential services- cleaning water and air, producing food, medicines, and providing habitat for birds and pollinators. At the same time, we make functional places to play, places to connect to the world and others, or peaceful settings to enjoy a quiet moment. Our future-friendly landscapes function and look great because we apply the rigor and historical perspective of landscape architecture to the principles of ecological design. 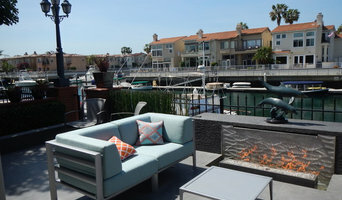 Long Beach High End Landscape Designer - Best of Houzz! Landscape designer and contractor,Kathy Alford, specializes in designing and installing outdoor living spaces for the Los Angeles and Orange county areas. Kathy, along with the talents of our impeccable staff and crew, are able to design plans and 3-D renderings and then bring them to fruition. From the beginning of the design to the final installation, Kathy, staff and crew create the garden of your dreams! We are passionate about Native California Drought Friendly Plants. 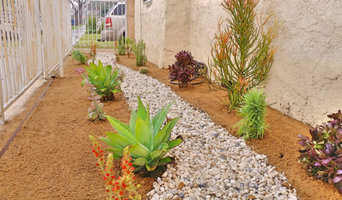 We focus on transforming front yard lawns into water wise gardens in Long Beach through the water department rebate program. Experience the joy of walking around a lush coastal garden... fragrant plants, different blooming seasons, colorful flowers. We are a family owned business servicing the Southern California area for over 25 years. We work with each client to help them achieve their dream home. We specialize in landscape design and are knowledgeable with Southern California's native plants. We also specialize in drought tolerant design and water-conserving landscapes for those who want to be eco-friendly! 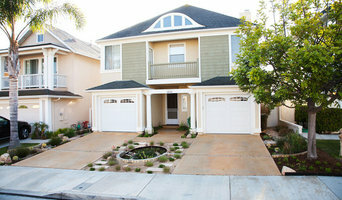 We can create a beautiful design while incorporating plants native to Southern California that need minimal maintenance. Let us help create the vision you have for your outdoor needs. Our mission at Alan Dunn Landscape Design is to provide the highest quality product and service while building a great personal relationship! We specialize as a full service landscape company that can take on projects of all sizes. We can help you with very simple garden enhancements to the elaborate resort style residential retreats. Improve Your Exterior Living Environment: Do you want to be able to come home after a hard day’s work and unwind in your own personal outdoor sanctuary? Do you see yourself dining al fresco during the summer, enjoying a delicious meal prepared on the grill of your outdoor kitchen? Do you imagine spending the evening under the stars as you relax by the fireplace in your outdoor living room? Outdoor living spaces like this are ideal venues for entertaining, allowing you to expand the functional area of your home beyond the confines of its walls. You don’t have to imagine anymore give me a call today at 855-764-0006 and we will make your dream a reality. At Lisa Gimmy Landscape Architecture, we approach landscape architecture as an opportunity to explore a series of relationships: between the site and the region; architecture and landscape; and most importantly, between the landscape and the people who will inhabit it. Since our founding in 1992, LGLA has been responsible for the planning and design of a wide range of public and private projects including campuses, boutique hotels, commercial buildings, public parks, and private residences. Founding principal Lisa Gimmy has long promoted sustainable and regionally-appropriate solutions to projects regardless of complexity or scale. Designs evolve from a respect for the cultural and historical contexts and reflection of the qualities of the site. From the beginning of program development through the detailing of materials, we engage clients who want to participate in the process to understand the possibilities appropriate to their project, and to evaluate these efforts against budget and schedule parameters. At the heart of any design process is the reconciliation of competing goals and objectives; in the balance, we craft creative and innovative solutions that enable us to realize our core mission: to create landscapes imbued with beauty, utility and a strong sense of place. What does a landscape architect or landscape designer in Long Beach, CA do? 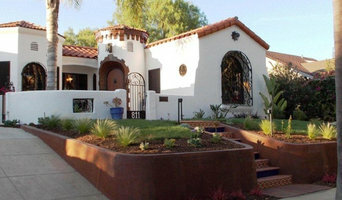 Landscape architects in Long Beach, CA, who typically belong to the Indian association of Landscape Architects (ISOLA), are trained to develop comprehensive structural plans that include plants, hardscaping, water use, drainage and more. They can also design any structure that will be added to the landscape, such as gazebos, retaining walls and other garden features. Typically, the expertise of a Long Beach, CA landscape architect can apply to understanding your space and natural environment. They work closely with architects and other contractors to develop your landscape or garden in accordance with the other plans. 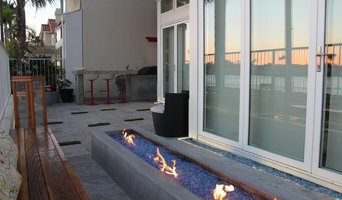 Landscape designers or garden designers in Long Beach, CA specialise in aesthetics and horticulture. Keeping in mind both style and functionality, a landscape designer will analyze your architecture and garden to produce a plan that may or may not include location and materials for walkways, patios, water features, garden aspects and more. In addition, he will carefully assess your geographic region to choose plants, trees, and flowers that will flourish naturally, as well as address concerns such as drainage, screening and soil conditions. Certain landscape architects and designers in Long Beach, CA only help with the planning portion, while some may deliver the plans and then oversee a hired landscape contractor. Others follow a design-build approach — take care of both the design and all aspects of the landscape architecture and construction. Why should I hire a landscape contractor in Long Beach, CA? Don’t have a green thumb to main the lush and lovely grounds that will be the envy of all your neighbours. Hire a gardener or landscape contractor in Long Beach, CA to create and maintain your garden. Landscape firms in Long Beach, CA will be able to bring your outside space to life with flowers, plants, trees, shrubbery, lawns and all sorts of verdant, floral features. Landscaping companies in this category execute gardens that have been drawn up by a landscape designer or architect, while some can also provide design services of their own. Gardeners in Long Beach, CA, on the other hand, will deal only with lawns, plants, trees and flowers. With a thorough understanding of horticulture and will be able to choose plants, garden edging and materials that will complement your home and thrive in the climate. A good Long Beach, CA gardener will take care of weeds and pests, and perform other tasks such as pruning to keep your garden looking its best. Find landscape firms on Houzz. Narrow your search in the Find Pros section of the website to landscape contractors & architects. You may also look through photos of landscapes to find one you like, then contact the landscaping company in Long Beach, CA who worked on it.